This pretty fabric bundle would look great on your next quilt! 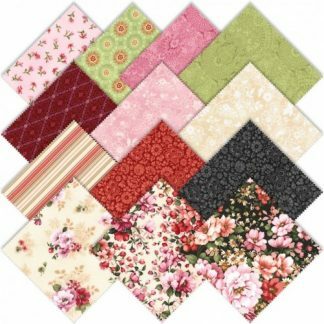 This fabric bundle contains 5-18 by 21 inch fabric pieces and is perfect to help you get started. Need some other sources of inspiration? Check out these pretty designs to help you with your next project! Want to use this fabric bundle for your next quilt but don’t know where to start? Check out these other great inspirations or our helpful hints. Shop more fabric bundle, quilting fabrics and quilting supplies. Shop Quilt Kits. Fat Quarters, Fabric Bundles, Jelly Rolls and more. Be sure to check our spring fabric bundle special with a flower basket quilt pattern.